Dorset County Museum have been awarded National Portfolio Organisation status by Arts Council England. 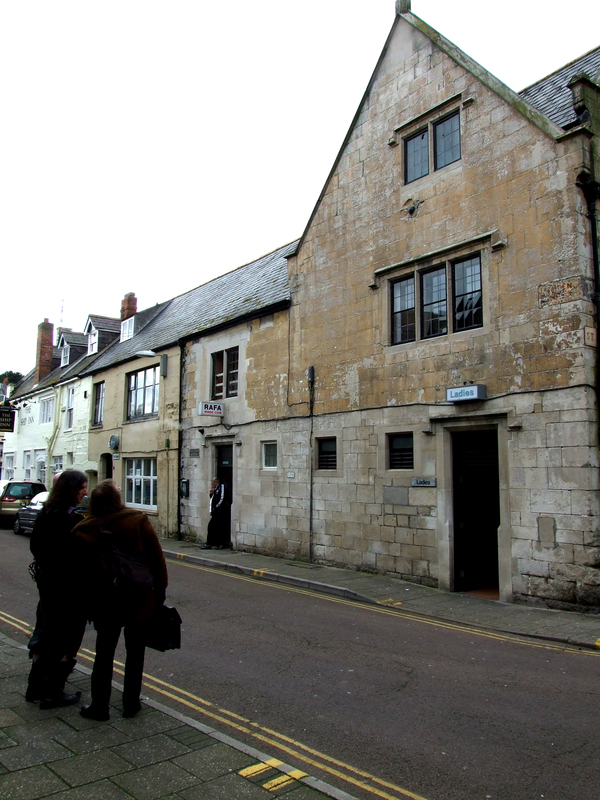 In doing so are set to share in a £1.2 million investment into the Museum of Dorset and Wiltshire. The Wessex Museum Partnership, a consortium of four museums, led by the Poole Museum Service together with Dorset County Museum, Salisbury Museum and Wiltshire Museum have been entrusted by the Arts Council to deliver their 2018-22 strategic plan entitled ‘Great Art and Culture for Everyone’. The Arts Council has recognised 831 National Portfolio Organisations that meet and exceed its stringent standards of best practice, with 103 based in the South West region. Phil Gibby, Area Director, South West, Arts Council England, said: “We are delighted to be able to renew our funding to organisations in Dorset and are proud to be welcoming three new and diverse organisations who will significantly widen the reach across Dorset and beyond”. Dorset County Museum Director, Jon Murden, exclaimed: “We are delighted by this vote of confidence in the Wessex Museums Partnership and the Dorset County Museum. We will be enhancing our outreach and community offer across the county, developing our special exhibition programme and improving the conservation and care of our collections with this investment. “The Museum’s ambitious redevelopment plan is to create ‘Tomorrows Museum – Making Dorset Proud’ and today’s announcement is a recognition that this statement. Everyone involved with the Museum should be congratulated as they are part of this success”. Jon added. This award comes soon after the National History Museum confirmed that Dorset County Museum will be the first stop on Dippy’s National Tour, an event that is already looking to be a sell-out success. On Friday 28 April, starting at 7.30pm, come and join us for an interesting talk by the curator of the Russell-Cotes Art Gallery and Museum on this amazing artefact. This talk will cover the history of this amazing teapot and how it came to Bournemouth. There will also be a brief exploration of the Russell-Cotes Art Gallery & Museum – including some collection highlights that are on display. Duncan has been at the Russell-Cotes Art Gallery and Museum since 2007 and worked with an internationally significant collection which ranges from fine art to ethnographic material from across the globe. His current role involves everything from collections management and research to income generation and exhibitions. Duncan has been ‘in’ museums since 1993 and his previous museums include Portsmouth, Wakefield, Corinium, Nottingham, Devizes, Chippenham and Malmesbury. Over the course of a year, five leading museums of the Wessex Museums Partnership Dorset County Museum, Poole Museum, Russell-Cotes Art Gallery and Museum, The Salisbury Museum and Wiltshire Museum will be sharing the story of Wessex in the wider world by showcasing an artefact from their own outstanding collections to the other partner museums. Wessex has a rich history connecting the region to countries around the world. Our links to Europe and Asia date back to prehistory. An eventful maritime history connects our ports to North America and beyond. Local collectors brought back to Wessex exotic treasures from their journeys of discovery around the world. The story of Wessex is a truly global one. Until 4 June 2017, the Tibetan Tea Pot will be on display at Dorset County Museum. Come and listen to Duncan Walker’s talk and find out more about this beautiful and unusual artefact. The forthcoming lecture will take place on Friday 28 April 2017 in the Dorset County Museum’s Victorian Hall and is FREE to the public; however a donation of £3 encouraged to cover costs. Doors open at 7.00pm and talks start at 7.30pm. This Tibetan teapot was given to our co-Founder Sir Merton Russell-Cotes (1835-1921) by the explorer Lieutenant Colonel Sir Francis Younghusband (1863-1942). In 1903-4 Younghusband led a controversial military expedition into Tibet. He became interested in Spiritualism, wrote extensively and became involved in the attempts to climb Mount Everest. World travellers themselves, Sir Merton and his wife Annie (1835-1920), collected items related to famous or infamous people, using them to attract visitors to their luxurious hotel, the Royal Bath and what is now the Russell-Cotes Art Gallery and Museum. Michael Hill’s new book, West Dorset Country Houses, is a superbly researched and illustrated account of country houses in eastern Dorset. Ranging from medieval palace buildings at Corfe Castle to Art Deco houses in Poole, over 30 homes are described in great detail including the use of many architectural drawings and plans. During his talk at Dorset County Museum on 27th November, Michael Hill will discuss the book and explain how the social context of the Georgian, Victorian and Edwardian eras became interwoven with architectural practices. The talk will be illustrated throughout with recent and contemporary drawings and photographs. All are welcome to this talk which starts at 7.30pm. Entry is from 7.00pm and the event is free although a donation of £3.00 is encouraged to cover costs. Copies of Michael Hill’s book will also be on sale during the evening. In the 18th century, smuggling was big business. Fleets of fast cutters and larger ships up to 200 tons were purpose-built for running illicit cargoes. Entrepôts in France and the Channel Islands had warehouses stuffed with goods to sell to the smugglers. Violent conflict, even murder, was frequent. The revenue men had the support of the navy and could sometimes call upon army detachments on land. The smugglers could summon gangs of 30 or 40 men, armed with sticks, loaded whips and sometimes firearms from the largely sympathetic population. Even when seizures were made, the smugglers were often able to wrest back their cargoes by attacking revenue officers or breaking into the custom warehouses. One such violent confrontation in 1787 was to cost at least two men their lives and another, his career. Very kindly bought for me by Katie Brown-Gurley from the Southern States of America. Remnants of the English Civil War, Weymouth. 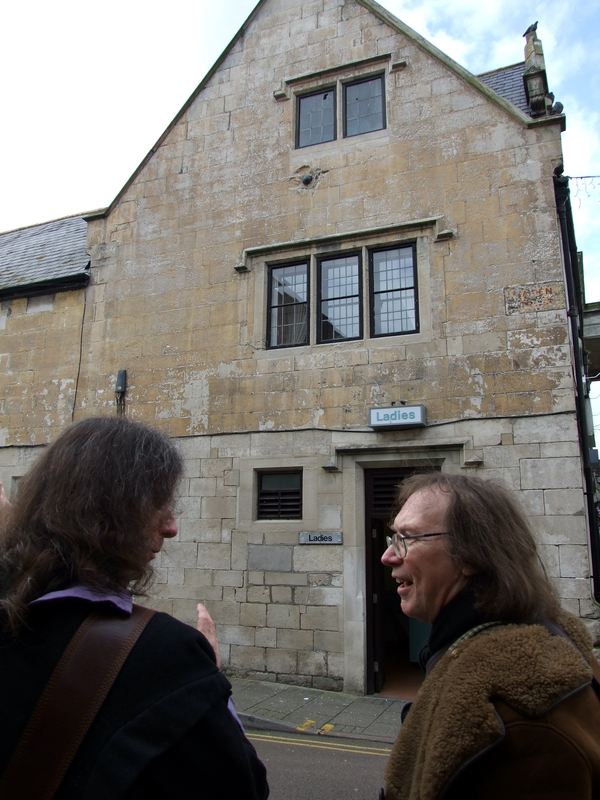 Mark Vine and Professor Ronald Hutton viewing the ‘Cannonball in the Wall’ in Maiden Street, one of hundreds fired into the Parliamentarian garrison of Melcombe during February 1645. My Paper deals with the part which Weymouth and Melcombe Regis, the twin-towns by the Wey, played in the Great Civil War, and with some local incidents of the interregnum. No connected and detailed account of these stirring events has ever appeared. I shall, therefore, endeavour to fill up this gap in the town records. It is true that we have been promised for some time past a work on the Civil War in Dorset, but it has not yet been published. (Since this Paper was read, “The Great Civil War in Dorset, 1642 1660” by A. B. Bayley, B.A., Oxon., F.R.H.S., has appeared – a truly admirable work (Barnicott and Pearce, The Wessex Press, Taunton). The feelings of bitter antagonism which sprang up between Charles I., on the one hand, and the House of Commons and a large part of the nation behind it, on the other hand, and which, ultimately, led to the Great Civil War and the Puritan Revolution, are so well known, that I need not touch upon that part of the subject. A fine Fourteenth century church, was, at the commencement of the war, standing on the Chapelhaye, Weymouth, and was reached by 70 steps from the street below. By its commanding position, on the top of a precipitous cliff, it was admirably adapted for a stronghold, and was speedily converted by the Parliamentary troops into a fort called “the Chapel Fort.” As this fort commanded Melcombe (which lay on low ground to the front), as also a part of the harbour, it was, throughout the war, the key to the local situation. Another fort was erected at the Nothe to command the harbour and the bay. Platforms for artillery were set up at both these forts. Earthworks were thrown up, some at the then northern entrance to Melcombe Regis, and others just a little north of the junction of St. Thomas Street with Lower Bond Street, extending thence westwards probably to the Backwater. Several drawbridges were built and town gates erected, the positions of which are long since forgotten. BOTH TOWNS SEIZED BY THE ROYALISTS, AUGUST, 1643. Weymouth and Melcombe having remained in the hands of the Parliament for about a year, the Earl of Carnarvon (who had taken Bristol on behalf of the King, and was making a successful progress through Dorset with nearly 2,000 Horse and Dragoons), obtained the surrender of Dorchester, Weymouth, Melcombe, and Portland, and handed them over to Prince Maurice, the King’s Nephew, who had arrived with the Foot and cannon. This occurred early in August, 1643. The sight of these Ironsides in their heavy breastplates and steel morions, armed with musketoons, pistols and swords, must have been a striking one for the townsfolk, who, as yet, had seen but little of war. We may suppose that Carnarvon’s cavalry paraded in front of the bay, and that part of his horses were stabled in the late Priory in Maiden Street, then in ruins. As to Portland, it was a Royal manor, and one of the King’s strongholds. It was of great importance as a base, not only on account of its inherent strength, but also of its proximity to Weymouth bay and harbour. The treasure and rich furniture which the rebels had but lately taken from Wardour Castle and elsewhere, had been lodged by them in Portland Castle, a prize which now fell to the Royalists. RETAKEN BY THE EARL OF ESSEX FOR THE PARLIAMENT, JUNE, 1644. But the towns were shortly to be re-captured by the Parliament. The Earl of Essex, an honourable, steady man, but with little genius, had been appointed Commander-in-Chief by the Parliament. He had arrived at Blandford in June, 1644, with an army of 13,000, Horse and Foot, and, in that month, took Dorchester. It was felt that Weymouth and Melcombe were of much importance for the trade of the county. The towns, however, were of no great strength; Colonel William Ashburnham, the Royalist Governor there, and Captain-General of the county, had been negligent in completing the fortifications. Besides this, a change of government was facilitated by the fact that some of the townsmen (probably incensed by the exactions of the Cavaliers) had mutinied. Lyme was gallantly resisting a siege by the Royalists, commenced some two months previously under Prince Maurice, and Essex, proceeding on his march to relieve that town, sent to Weymouth, in advance, a party of Horse, under Sir Wm. Balfour. Four of the Weymouth burgesses went to Essex, who was then at Dorchester, to treat as to the surrender of the two towns. Favourable terms having been ultimately arranged, the Royalists, to the number of about 400, marched out of Weymouth on the following day (17th June), and proclamation was made that, upon pain of death, everyone should bring in all arms and ammunition to the Court of Guard and Town Hall before sunset. Essex followed Balfour to Weymouth and remained there some days. Having possessed himself of the town, he rode to Sandsfoot Castle, which, being summoned, surrendered after three hours’ parley. The Earl of Warwick, the Parliamentary Lord High Admiral, had been engaged in relieving Lyme, and now appeared in Weymouth Roads with a fleet of nine ships to assist the operations of Essex in Melcombe. At this juncture Ashburnham retired with the remainder of his forces to Portland Castle, still held by the Royalists. Once more, then, the Parliament flag was floating over the forts of the two towns, and, without any fighting, a rich prize fell to the Parliament, including, it is said, 60 ships in the Harbour. Ashburnham’s conduct in retiring from Weymouth on the mere approach of Essex’s army was the subject of an enquiry by the King and Council, by whom he had the good fortune to be absolved from the charge of cowardice or neglect. The memorable siege of Lyme Regis by the Royalists having been raised at about the same date as the surrender of Weymouth, Prince Maurice retired from Lyme to Exeter, and the surrendered Royalist garrison of Weymouth received orders to join him there. Favourable terms were granted them, as mentioned above, and the officers were allowed to march on horse-back, retaining their swords and pistols, the common soldiers to carry staves only. Colonel William Sydenham was now re-appointed Governor of Weymouth for the Parliament, and the fortifications of the towns were vigorously proceeded with. CHARLES I AT MAIDEN NEWTON. “In the beginning of February ” (1644) ” we were in as sweet a quiet and security as any Garrison in the Kingdom : no enemy near us but one at Portland, and that not very considerable, being but about three or four hundred men.” But a conspiracy by some of the townsmen (in conjunction with some in Portland) to betray the towns to the Royalists had by this time been formed, and materially helped Sir Lewis Dyve in his project. This conspiracy and its results formed some of the most interesting and important incidents of the war here. It appears that, as early as Christmas, 1644, Fabian Hodder, a merchant and staunch Melcombe Royalist, was in secret communication with Sir Lewis Dyve, then stationed at Sherborne, and afterwards with Sir William Hastings, the Royalist Governor of Portland Castle. This was a risky business, and so the correspondence was carried on by Weymouth women, they being less likely to be suspected. (The bearers of Royalist messages from persons of high rank and importance were sometimes given ” tongue tokens,” as a proof of the genuineness of the bearers, when no written word could be risked. These tokens were tiny ovals of gold, small enough to be put under the tongue in case of need, with the head of Charles on one side and his initials on the other.) John Cade, an Alderman of Melcombe, who had served as a Captain in the Royalist forces, and John Mills, one of the Town Constables, were two other chief plotters. In consequence of Hodder’s appeals, Sir Lewis Dyve promised that he would come with 1,500 Horse and Foot, about mid- night on Sunday, the 9th February, 1644-5, to surprise Melcombe, and that he would give the plotters (according to the confession of one of them at the Council of War subsequently held), £500. The scheme of this cleverly-hatched conspiracy was that Melcombe should be attacked by Sir Lewis Dyve on that night, and that, simultaneously, part of the King’s forces in Portland, reinforced by the Islanders there, should come out and seize the Chapel and Nothe forts on Weymouth side. Besides these, there were conspirators in some of the adjoining villages, especially Preston and Sutton Poyntz, whence about 60 men were to be let into the town to join in the attack on Melcombe. The conspirators were to take the following oath, framed by Fabian Hodder : ” You shall swear by the Holy Trinity that you will conceal the intended plot.” The pass-word was “Crabchurch,” and round the arm a white handkerchief was to be worn. The town gates of Melcombe were to be opened to let in Sir Lewis, the Main Guard was to be seized, the Major of the Parliamentary regiment was to be slain, and the doors of the marshalsea, or prison, in which the prisoners of war taken by the Roundheads were confined, were to be broken open, so that they, being released, might join the attacking forces. Some of the gunners in the Chapel and Nothe Forts were parties to the conspiracy. The time, too, was opportune, for there was no Parliament ship in the Roads. THE NIGHT SURPRISE OF THE CHAPEL AND NOTHE FORTS BY THE ROYALISTS, FEBRUARY 9th, 1645. When the eventful Sunday came round, an order was given during Divine Service, in the picturesque old church at Churchope, that part of the Portland garrison and the Islanders should appear, with their arms, at the Castle at Castletown, by five o’clock in the evening of that day. The men having assembled, two companies were formed, under the command of Sir William Hastings one to go by land and the other by water to Weymouth proper. One company accordingly proceeded along the road by the Chesil Beach to Smallmouth. There was no bridge in those days at this narrow inlet of the sea ; it was crossed by means of a passage-boat kept by a ferryman on the Wyke side, and was known as “The Passage.” A Weymouth plotter, John Dry, a tanner by trade, had arranged with the ferryman to have his boat in readiness to bring over the Royalists. Let us picture the scene : it is now dark, silently they effect the crossing, and are met on the Wyke side by the tanner, who conducts them to the Chapel Fort. We may assume that the route chosen, in order to secure secrecy and to attack the Chapel Fort from the rear, is by Buxton and St. Leonard’s Roads, then unfrequented lanes. Meanwhile the other company goes by water to the ancient pier (long since demolished), under the Nothe, whence,led by Walter Bond, a Hope fisherman, they creep along to the Nothe Fort. The total number of the attacking party from Portland is small and does not exceed 120. As to Melcombe, all is excitement among the plotters there, in the expectation that Sir Lewis Dyve is about to arrive and co-operate in the capture of the towns. A strange gathering of country-folk (either conspirators or, at least, Royalist sympathisers), meet on Radipole Common to watch for the arrival of Dyve’s forces and to see the Nothe fight. Some, we are told, are armed with pistols, one with a Welsh hook, and others with cudgels. ARRIVAL OF SIR LEWIS DYVE, FEBRUARY 10TH, 1645. We get a glimpse of some of the Royalist soldiers on the Wednesday following the surprise of the forts. They refreshed themselves by marching to that part of the village of Radipole called Causeway, where, together with ” Master Wood, Clerke, Curate of Sutton Poyntz,” they regaled themselves at an ale-house and we are told, I regret to say, that some of them became “distempered with beare.” About 80 years ago, a tradition existed in Radipole of the passage through the village of soldiers in the Civil War. For aught I know, the tradition may still survive. SIEGE OF MELCOMBE BY THE ROYALISTS, FEBRUARY, 1645.
earthworks, and defended it with splendid tenacity, avenging the losses they had sustained on Dyve’s arrival. the “James,” landed some 200 seamen who ” have proved themselves very brave men in all this service ” ; the ships also relieved the forces in Melcombe of 200 Royalist prisoners. A further detachment of 100 Cavalry, under Lieut. Colonel James Haynes, came by land. Sir Lewis Dyve’s, Sir Thomas Austin’s, and Cleveland’s Horse, with some Foot, blocked the Parliament forces at the north end of Melcombe. Notwithstanding this, the latter sallied forth from time to time, and on one occasion succeeded in bringing in 900 sheep, and a Royalist Captain who had mistaken the Roundheads for some of his own party. George, Lord Goring, the King’s Lieutenant-General in Hampshire and some other counties, leaving Salisbury, had arrived in Mid Dorset at the head of an army of upwards of 3,000 Horse, 1,500 Foot, and a train of artillery, besides such reinforcements as he found in these parts. On Sunday, February 23rd, there rang through besieged Melcombe the cry, ” The Cavalry,” ” The Cavalry,” for, in truth, Goring,leaving his main forces at Dorchester, had sent a detachment of Horse and Foot which, with much beating of drums and blowing of trumpets, was now approaching the town. There were those amongst Goring’s troops who bore names held high in honour in England, younger sons of great families who had readily accepted commissions in the company known in many a field of battle as ” Goring’s Horse.” But they had to reckon here with a resolute and sleepless foe. Goring, being joined by Sir Thomas Austin’s and Cleveland’s Horse with some Foot, drew down in a body and faced Sydenham all that day, but strange to say, no summons came to surrender. The next day Sydenham captured a work which Goring’s troops had thrown up about a furlong from the town at its north end, slaying some of his men. 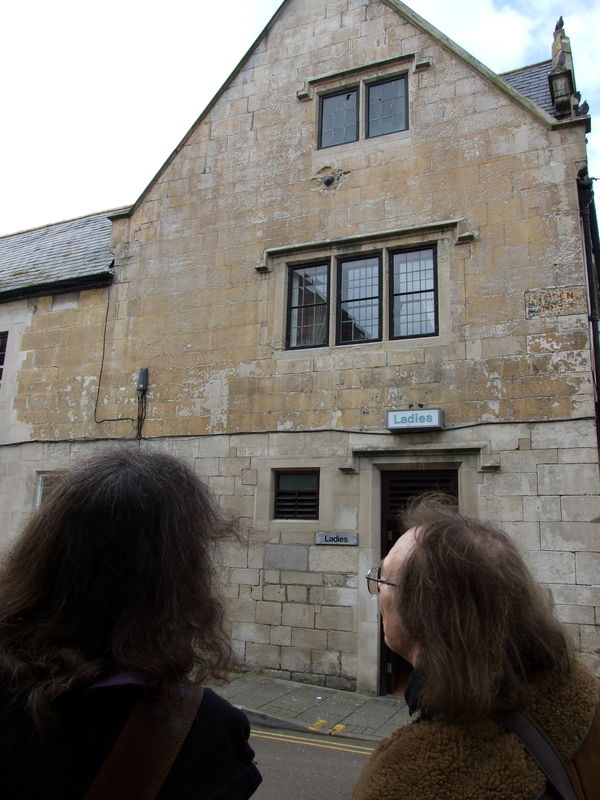 PARLIAMENT REGAINS WEYMOUTH PROPER, FEBRUARY 25TH, 1645. Captain Langford, crossed the bridge from Melcombe, and within an hour stormed and carried, with the loss of only one man, the Chapel Fort and Weymouth proper. The Royalists did not discover the enemy until they were on the outworks, and, probably overestimating their number, soon cried for ” quarter.” The Roundheads took 60 prisoners, also a Lieutenant-Colonel, a Major, three Captains, three Lieutenants, and 100 inferior officers and common soldiers, with ome ” of the profidious townsmen, who after taking the covenant with us were got into arms against us” (Ince). They also took prisoner Captain Alexander Keynes, the owner of Radipole Farm, described by Ince as ” a Papist,” and as having in his ” Portmantle, a parcell of Holy Beads, a Commission for a Ship to play the Pirat with at Sea, which lay blank at Dunkirk.” They also captured 40 loads of provisions of which they were at this time greatly in need. LORD GORING’S UNSUCCESSFUL NIGHT ATTACK, FEBRUARY 28TH, 1645. RAISING OF THE SIEGE, FEBRUARY 28TH, 1645. It seems that the Royalists now suspected the near approach of the Parliamentary forces under Sir William Waller, who, had been ordered to relieve Weymouth, but had been delayed owing to his Cavalry having broken out into open mutiny. Consequently, about ten o’clock on the morning of Friday, February 28th, the Royalists under Lord Goring and Sir Lewis Dyve suddenly drew out their forces, abandoning the Nothe and Bincleaves Forts, leaving behind them their colours, and the guns for the most part unspiked, with much arms and other booty, and without burning the corn or houses, “and so,” Captain Batten wrote,” are gone in a very confused manner.”(Letter from Captain Batten to Lenthall, Speaker of the House of Commons, February 28th 1644. The like from Colonel William Sydenham of even date) They withdrew to Wyke Regis, where they remained for a short time to succour the wounded, and then marched to Dorchester, and afterwards towards Taunton. This ended the siege of Melcombe, which had lasted 18 days. Thus both towns were regained by the Parliament after continuous conflicts. The loss of these two important coast towns was a great disaster to the Royalist cause. Considering the great inequality of the forces engaged and the weakness of Melcombe, it is strange that the siege should have continued so long. It seems to have been due to extraordinary negligence on the part of Goring. He was a man of distinguished presence and is said to have been every inch a soldier, but he cut a sorry figure on this occasion. The whole county was now possessed by Parliament, except Portland, Sherborne, and Corfe Castle. Portland Castle surrendered to Captain Batten about a year after the rout of the Royalists in Melcombe (viz., on April 6th, 1646) (Captain Batten, in reporting the surrender of Portland to Lenthall, Speaker of the House of Commons, wrote April 7th, 1646, “When they march’d away. . . they had not a colour in the island. As to the sequestration of their estates. . . there is not a hundred pounds a year amongst them all, the Governour excepted. . . . The island was very stronge and would have cost much blood to have reduced it by force. . . . There is more tobe done on the island with a faire carriage than by violence.”) and Sherborne and Corfe Castle having been captured, the reduction of the County to the Parliamentary forces was completed. THE HANGING OF THE ROYALIST CONSPIRATORS, MARCH 3RD, 1645. Colonel Sydenham, the Governor of Weymouth, lost no time in dealing summarily with the chief Royalist conspirators in the plot for surprising the forts. Captain Batten had them, with many other prisoners, on board his ship, ” in a posture speedily to be hanged,” and wrote to the Speaker of the House of Commons as to the prisoners : ” Tomorrow, we shall shorten the number by hanging some of the towns men who are prisoners on board us and were the betrayers of the town.” Accordingly a council of war was held on Saturday, March 1st, 1645, and on several succeeding days, before the Governor, all the field officers and captains of the Weymouth Garrison, Captain Batten, Admiral of the Fleet then riding in Weymouth Bay, and divers other sea Captains. Captain Cade, the coadjutor of Fabian Hodder, made a confession and was hanged ; Samways, a Melcombe tailor, was brought to the gallows to be hanged ; but, expressing much sorrow for his treachery, he, and Walter Bond, the Hope fisherman, were reprieved and carried back to prison, ” to make a further discovery of their partners.”(Mercurius Britanicus No. 75.) One of the plotters, ” an Irish rebell, a native Papist, put a rope about his own neck and hanged himself …. without judgement or execution, doing all upon himself.” Then, as regards Mills, the Constable, the report of the council of war states that he died ” most desperately,” ” without any signe or token of sorrow or repentance,” and that ” when he was upon the Ladder, he most desperately threw himself off, not shewing any signes of humiliation, or calling upon God for mercie on his soul, but, carelessly, in a most desperate manner, died, not so much as praying to God to receive his soul.” The hangings took place at the Nothe point, on the Monday morning following the first sitting of the council of war. Peter Ince adds with some bitterness, “There be not many of the villains left, but their sin hath found them out.” As to these, the report continues, ” Divers of them are slain, Fabian Hodder and others are in Prison at Poole and other places, not yet tried, and some are run away.” Sydenham threatened to make a halter for Fabian Hodder ‘s neck, he being the chief conspirator, but he contrived to escape and, returning to Melcombe, became, after the Restoration, a member of the Corporate body. The following appears in ” Mercurius Britanicus ” communicating ” the affaires of great Britaine For the better Information of the People, From Monday the 14 of April to Monday the 21 of April, 1645,” viz. : ” Divers Orders passed for payment of monies to the Garrisons of Lyme, Weymouth, and other places. But especially let Lyme and Weymouth be remembred, for never in any Nation did two places ennoble themselves by more gallant action. May we alwayes remember the famous services of Sydenham and Ceeley. May they be a patterne of imitation to others in like cases of extremitie.” Colonel Thomas Ceely was Governor of Lyme Regis, under the Parliament, during the notable siege of that town. A month after the raising of the siege of Melcombe, the Vice-Admiral issued a warrant for clearing the streets of the soil and ruins which encumbered them, and for this purpose Lighters were impressed. The Parliament retained possession of the towns until the termination of the war, brought about by the final overthrow of the Royalist cause at the Battle of Worcester, September 3rd, 1651. Soon afterwards nearly all the forts here (including the Chapel Fort) were dismantled and the materials sold. The townsmen had suffered ruinous loss and damage during the war. Many of their houses had been burnt or destroyed, others came toppling down in the streets, gardens had been dug up for soil with which to form earthworks, the church on the Chapelhay had been practically demolished, the bridge and the quays were in decay, and the harbour partly choked. The wall of the town marsh had been beaten down (why or wherefore I cannot say, possibly a battery had been placed there to reduce Melcombe) ; provisions had run short, all available supplies having been taken possession of by the military authorities, the streets had been reddened with the blood of those who had fought for King or Parliament. The townsfolk had, during part of the time, been at a charge of £30 per month to maintain soldiers quartered there, and two guards, and had been subjected to the rapine and tyrannous conduct of the soldiery. The total loss of property was estimated at £20,000. What this must have meant to such small and very poor places, dependent almost entirely on fishing, the Newfoundland trade, and the revenue from the harbour, we can scarcely realise. Indeed for a time all was in chaos ; trade wa? well nigh suspended ; the Town Clerk had gone off during the wars, and such was the death-like torpor which prevailed, that the Corporation seem to have met twice only in about two years, and entries in the Parochial Registers of Baptisms, Marriages, and Burials were for long discontinued. (In August, 1645, an Ordinance of Parliament was made, directing the Standing Committee of the County of Dorset to put in force a weekly assessment for six months, for the support of Colonel Edmund Massey’s forces. This led to the presentation of a petition by the Weymouth Corporation to the Committee. A copy of this petition is here inserted, as it throws light on the state of the town at the time. “The humble Peticon ” &c. ” sheweth that yor petr* have sustained great losses in their estate to the value of many thousand pounds by occasion of the warre and the late seige against this towne in which divers of their houses were burnt and destroyed & ye Inhabitants of Waymouth plundered of their goods, and before that, much of yor petrs lands wasted and their houses and buildings pulled downe and their goods ymployed for ye better fortifynge of ye Garrison ; & have expended much in free quarteringe of Souldiers & cloansinge ye towne after the seige. And yor Petrs are hitherto at a great charge & trouble for ye maintenance of ye Garrison by quarteringe, Lights for ye Guard, watchinge and bearinge armes at their owne pper costs & charges pforminge that dutie of watchinge in their turnes as often as the souldiers, in wch yor petrs shall, with all readines & cheerefulnes continue as long as God shall enable them. And now yor Petrs are informed by ye Constables that aW arrant is granted by you for the raiseing of f ouer pounds weekly upon them wch (by reason of ye pmisses & their extreame poverty for want of trade as in former times) yor petrs are not only unable to pay but are put to hard shifts for ye maintenance of their owne families & the poore amongst them. And therefore yor petrs are necessitated to present their condicon unto y r serious consideracon. Humbly prayinge that they may be freed from the payment of ye said weekly assessment.” – Weymouth Corporation Records. Apparently, Chiles’ wife must have been actuated by extraordinary malice in bringing this accusation against her husband, so long after the event, especially as by so doing she, as an accomplice, might have risked her own neck. THE FAT CAPTAIN OF HORSE. “This Captain was the fattest, merriest man, the most cheerful and the most given to laughter that ever I met with.” Fox, the grave Quaker, therefore felt bound to admonish him ” to come to sobriety ; ” but, at first, to little effect, for Fox naively adds, ” And yet, he would presently laugh at anything he saw.” What a splendid character this fat, cheery Captain of Horse would have made in Dickens’ hands! Which character, think you, would you have liked best, the fat boy in ” Pickwick,” who was always sleeping, or the fat Captain in Wey mouth, who was always laughing ? I believe you would have preferred the merry Captain, who ; would presently laugh at anything he saw.” With this tribute to his memory, I conclude my Paper. As our blog nears a year in existence I thought it was about time I introduced Ralph our mascot and face on our Gravatar. Lying just off the Dorset Coast is a famous 17th century shipwreck known as the Swash Channel wreck. A Bournemouth University marine archaeology team has been studying the wreck since 2006 but are now so concerned at the rate of deterioration that they have decided to raise and preserve part of the hull. The 40 metre long 400 year old vessel lies in approximately 7 metres of water next to the Swash Channel in the approaches to Poole Harbour. The wreck includes ornately carved timbers, the earliest still in existence in Britain, but as the sands shift and expose the timbers to the air, they are literally being eaten away by bacteria and tunnelling shipworms. Dave Parham, a Senior Lecturer in Marine Archaeology at Bournemouth University, is leading a team to save as much of the wreck as possible. The plan is to remove some of the timbers and preserve them, whilst reburying the rest. It is not possible to cover up the entire wreck as it would create a shipping hazard in a busy channel. Once preserved, the remains will go on display in Poole Museum. Dave Parham’s talk will discuss the history of the Swash Channel Wreck project and bring the audience up to date with news on the most recent excavations and research. This archaeological lecture is on Friday 6th December 2013. The talk is FREE of charge but a donation of £3 is encouraged to cover costs. Doors open at 7.00pm and the talk will commence at 7.30pm.